The most anticipated, long-awaited, all-year planning for the 10th Anniversary of the International Kuala Lumpur Eco Film Fest 2017 has finally concluded, successfully. We finally did it! In the span of one week, we have organised three forums, screened 86 films, conducted and facilitated 16 talks and workshops, hosted six amazing visual artists plus 16 heartwarming performances, supported over 40 eco-related businesses, NGOs and initiatives; serving thousands of visitors and guests to ensure they have the best KLEFF experience from our team and our volunteers. I personally had the great pleasure of speaking to some of our sponsors, partners, speakers, international film makers, vendors, volunteers, participants and general visitors who gave us invaluable feedbacks and constructive comments (and some words of encouragement too). We truly appreciate this because we believe that these are genuine feedbacks and can only be taken in a positive direction. There are many other ways to measure the success of KLEFF and this year, being able to organise a week-long festival proved to be the most important achievement for the team. It has proven that a small, young and fully committed EcoKnights team can truly make a change. It has proven that there is a strong support system of volunteers who came from all over the country (and foreign volunteers too!) 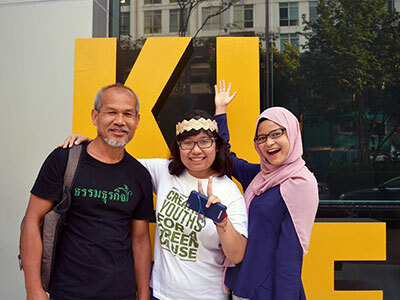 to the environmental advocacy is really important and needed in Malaysia. We are ever so fortunate to be living in a country with so much natural environment to appreciate and live harmony with. It is an emotional moment for me personally, as I see the progress we have made for ten years up to where it is now. I remember it since the first day ten years ago: all the hard work, blood sweat and tears, challenges and obstacles often too big and seem unmovable, unshakeable and refused to compromise, but we persevere. After ten long years, I am humbled to be part of this great initiative, to lead the way for our young future leaders. The future is uncertain but it is full of hope with these young people leading the way. 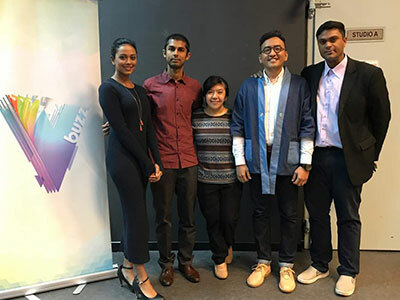 After ten years, Yasmin and I are so proud of our team: Mok, Nabila, Emirul, Joy, Fatiah, Fara, Sher Wyn, Luq, Johanan, CK, Hui Yee, Malathi, Aaron, Mazro, Afiq, Najid, Ahmad and of course our extended families, our supportive ex-interns and volunteers for throwing the best festival yet. Before I end this, I would like to thank all of our partners – Guardian Malaysia, MapKL, Publika, iM4U, MBO Cinema Malaysia, The Frangipani Langkawi, UBER Malaysia, DHL Malaysia, Vive, SCM Asia, TeebTV, Natural Health, iM4U.fm, Roundtable on Sustainable Palm Oil (RSPO), The Body Shop Malaysia, Dewan Bandaraya Kuala Lumpur (DBKL), Ministry of Natural Resources and Energy (MNRE), ERE Consulting Group, Penang Green Council, Tanamera Tropical Spa Products, Biji Biji Initiatives, Art4, Yogood, JuiceWorks, Taylor’s University, KDU University College, Han Chiang College, Yangon Film School, UniMas and Geomatika University College, special guests, speakers, artists, international film makers – Mohsen Nabavi, Rick Grehan, Ong Kah Jing, Rick Grehan, Pascal Gelinas, Dave Edwards, Howard Jackson, Dr Audrey and everyone for this unforgettable experience and the trust to EcoKnights. We are compiling all the information, data and feedback from the festival and currently drafting a report, we will be able to share it on the December issue. Lastly, guess what, we are already planning for 11th KLEFF next year, I hope you are as excited as we are! 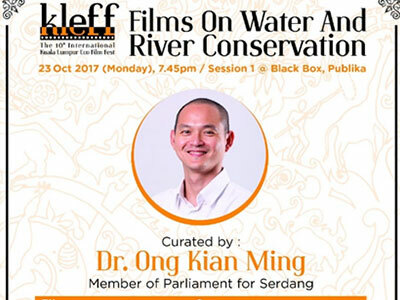 The first day of KLEFF 2017 kick-started with a river-themed film screening session featuring guest curator, Dr Ong Kian Ming – member of Serdang Parliament. 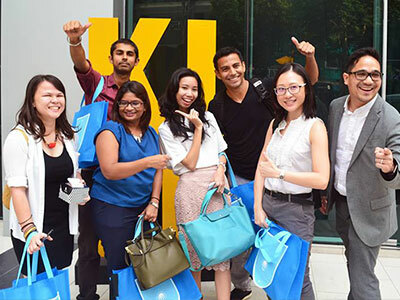 KLEFF continued its hype with its first Sustainable Forum Series, Wajah Bumi Art Exhibition, thematic film screening, Green Market, workshops,Green Vibes performance and social media campaigns. Photos taken during the festival can be viewed here. The KLEFF 2017 committee would like to extend our greatest gratitude to our partners, film makers, judges, invited speakers, special guests, artists, performers, participating vendors, volunteers and last but not least, our visitors for the support and contribution towards KLEFF. On 27th October 2017, the winners of the International Kuala Lumpur Eco Film Festival were announced at an award ceremony. Seven main awards (Young Film Maker Award, Public Service Announcement Award, Feature Film Award, Jury Award, Short Documentary Award, Short Film Award and Animation Award) as well as a Special Merit Award given to ten local film-makers were proudly presented to the winners. Check out the full list of winners here. 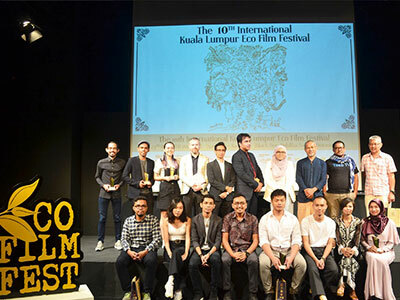 The 10th International Kuala Lumpur Eco Film Festival opened with environment-themed films on river and water conservation, mining and environmental activism. 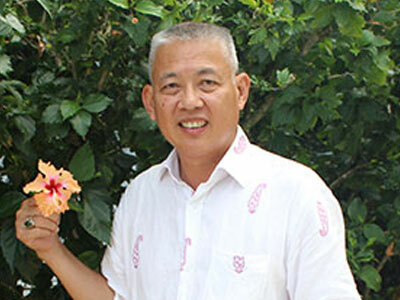 The film screening was curated by Parliament member of Serdang, Dr. Ong Kian Ming who is passionate in environmental sustainability. 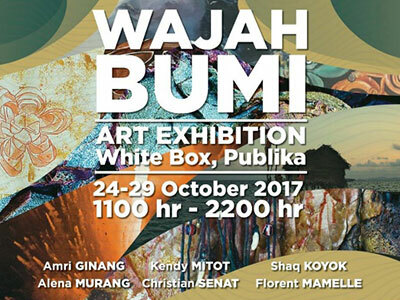 On 25th October 2017, the 10th KLEFF announced the launch of Wajah Bumi, a nature-themed art exhibition by six Malaysian and French artists. Curated by KLEFF Founder, Yasmin Rasyid, the displayed artworks conceptualize the intentional and unintentional impacts of environmental exploitation and neglect through the eyes of Amri Ginang, Kendy Mitot, Shaq Koyok, Alena Murang, Christian Senat and Florent Mamelle. 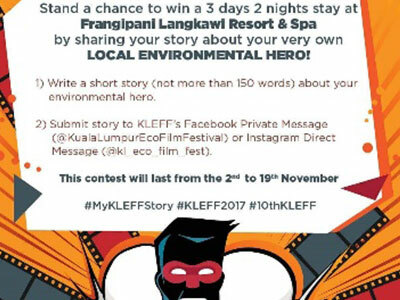 In conjunction with the 10th Anniversary of the Kuala Lumpur Eco Film Festival 2017, KLEFF launched its first social media campaigns to encourage public’s participation in environmental sustainability through a medium that is both fun and engaging. 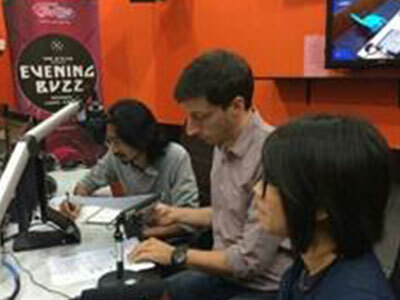 In conjunction with the 10th KLEFF, Mok Yi Ying (KLEFF Festival Manager), Ashaari Rahmat (General Manager of Poptani Asia) & Stefano Savi (Global Outreach and Engagement Director of Roundtable on Sustainable Palm Oil) were on Traxx FM on October 10th. Listen to the podcast now where they discussed KLEFF, sustainability in the palm oil industry as well as food consumption and production in Malaysia. On 10th October, in conjunction with the 10th Kuala Lumpur Eco Film Festival, Fadly Bakhtiar (Festival Director) and Rashvin Pal Singh from Biji-biji Initiative shared about #KLEFF2017 and the #ForumSeries, the Youth Leadership in SDGs in which Rashvin was one of the speakers. Watch the interview now as they discussed the issue of waste management in Malaysia and KLEFF as a platform to raise environmental awareness. 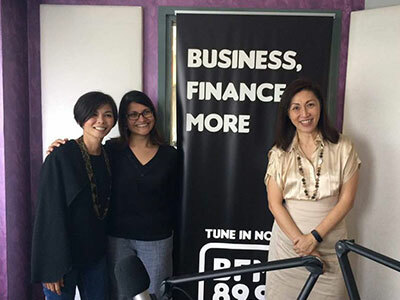 On 13th October 2017, KLEFF Founder, Yasmin Rasyid and The Body Shop’s Managing Director, Datin Mina Cheah-Foong were on BFM radio as they discussed the importance of women empowerment in the sustainability field as well as the substantial social and economic impacts of closing the gender gap. Listen to the full interview here. 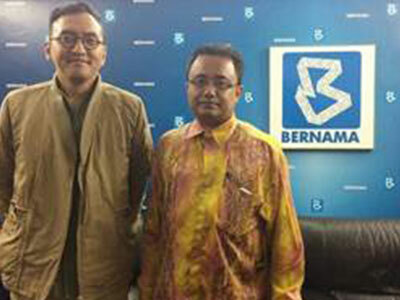 On 19th October 2017, the Festival Director of KLEFF, Fadly Bakhtiar and the Programme Coordinator of "Ibrah from Disasters (Lessons from Disasters)", Dr. Shaikh Mohd Saifuddeen bin Shaikh Mohd Salleh were on Bernama News Channel, Programme NineEleven. "Lessons from Disasters" is a documentary that was selected to be screened at KLEFF 2017. Listen to the full interview as they talked about the highlights of KLEFF and the importance of films as medium in raising environmental awareness. 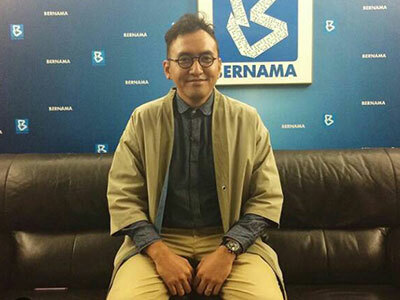 Founder of Pun Pun Center of Self Reliance, Jon Jandai had an interactive interview with Juliet Jacobs from BFM on October 30. Listen to the podcast where he shared his philosophy of living a simple life, and how that can benefit ourselves and the environment too. Jon was part of KLEFF 2017 as he conducted a workshop on Culturing Effective Microbes and was one of the speakers for the Food for Future forum. For more testimonials, read here.